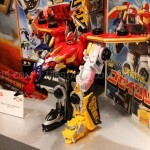 At last year’s Toy Fair, Bandai announced the domestic release of the DX Gosei Great mould that saw release in Japan akin to the Samurai Megazord. The toy has finally resurfaced and is now available for pre order on Amazon. Though the website lists it as the “Legendary Megazord”, the toy photoed is indeed the Gosei Great not to confuse it with the US name for Gokaioh. No word on a street date was given, but Amazon.com lists the Nihon Edition DX Gosei Great for $80 with a Free Shipping listing available. Gokaiger Suits in Megaforce Confirmed! 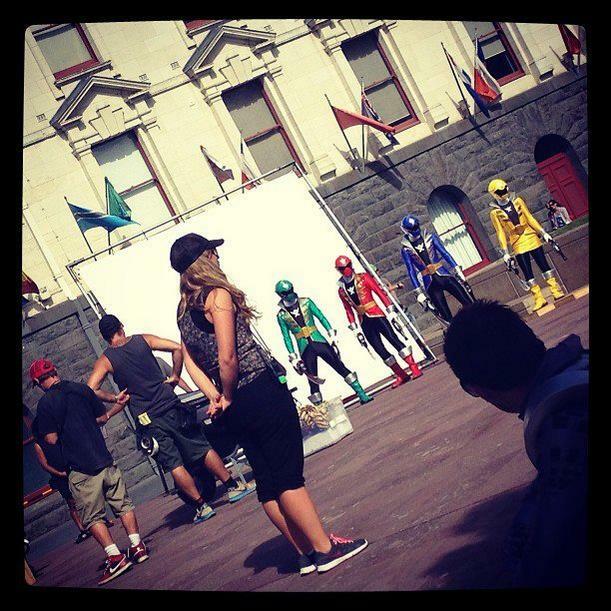 Another picture from the Super Megaforce filming has been spotted, finally giving us confirmation that the Gokaiger Suits will indeed see action at some point in Season 2. While we still don’t know in what capacity these suits will be used there’s speculation about that they’ll be some sort of Goseiger into Gokaiger form changing involved. Thanks to Tokunation member losondro for giving us the heads up! Surprise surprise! When Saban announced that a combination of Goseiger and Gokaiger footage would be used for the 20th anniversary series Power Rangers Megaforce I don’t think anyone expected this. However thanks to Fury Diamonds’ Megaforce Cast site, and a tip from Tokuantion user GrimZata, we can confirm that the Goseiger ranger suits will be used for BOTH season of Power Rangers Megaforce. Gokaiger mecha will be used in the second season but it appears Saban has pulled a Dairanger on us and skipped the Gokaiger suits altogther. 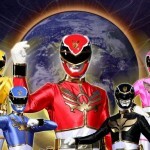 SDCC Power Rangers Panel News- Megaforce Source(s) Confirmed AND MORE! San Diego Comic Con coverage is ongoing, so stay tuned to this page for full updates on the Power Rangers panel. While no images have surfaced yet from the Licensing Expo currently being held in Las Vegas, Nevada, we do have commentary from famed and credible Power Rangers fan Fury Diamond. You can find the original post at the Ranger Crew Blog, but we’ve also summarized it here for you. 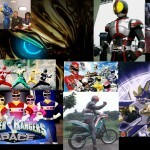 It would appear that in 2013 there will be two mainstay Power Rangers events – Power Rangers Megaforce and Power Rangers 20. There was a poster for each. The Power Rangers Megaforce Poster showcased the Goseiger suits, the Goseiger mech, and the new logo. Sorry Gokaiger fans, doesn’t appear to be any type of “merging” going on for the seasons. The Power Rangers 20 poster is much more interesting. 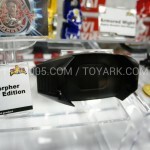 The poster is a close-up of the Mighty Morphin Red Ranger’s helmet, and in the visor you can see what would be a reflection of numerous other Rangers – most notably, all previous Red Rangers (including the Quantum Ranger) and in the middle of all of them, The Mighty Morphin White Tiger Ranger. Stay tuned to TokuNation.com as we will bring you any updates and images as they pop up across the web! Power Rangers Megaforce introduces a plot line that is sure to captivate audiences with exciting new characters, villains, and high-octane action. The new series features Gosei, a supernatural guardian who for centuries, has protected the earth with his robotic aide, Tensou. But when the evil Warstar aliens begin their massive invasion, Gosei calls upon five teenagers with attitude to form the ultimate team…the Power Rangers Megaforce! When the teens morph into Power Rangers, they gain superhuman strength, agility, and mastery over martial arts. In addition to defending earth against the Warstar aliens, other monstrous factions emerge to challenge the Megaforce Rangers. Under the leadership of a malevolent alien, toxic beasts rise from their slimy underground lair to attack the Earth and a ruthless robot army launches an offensive from their deep sea compound. In order to face these new threats, the Power Rangers Megaforce unlock powerful battle modes to fight their adversaries. Go Go Power Rangers! – fans can look forward to all new MEGA adventures in 2013.